In the last few years I have received an increased number of emails requesting more reviews and recommendations for healthier options in skincare and makeup. Recently, however, even more people have expressed their desire to replace their heavily chemical-laden makeup with healthier, greener options. Therefore, I thought that I would share a couple of Jane Iredale PurePressed Eye Shadow Triples because these beautiful eyeshadow palettes are not filled with unhealthy chemicals without sacrificing quality. 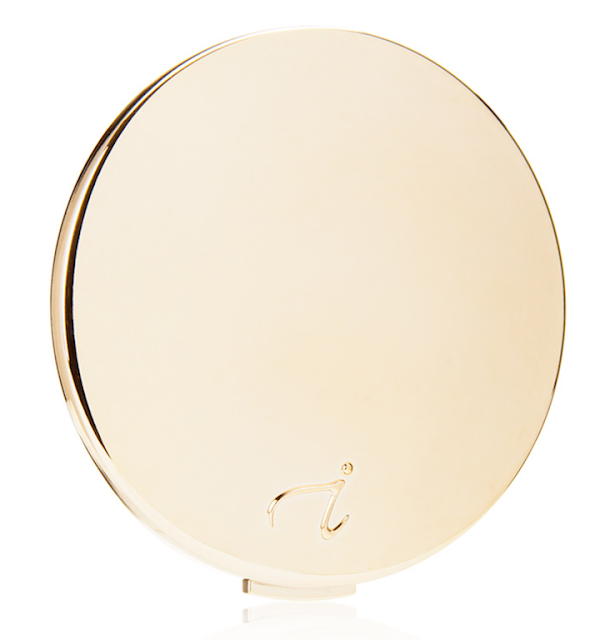 Jane Iredale PurePressed Eye Shadow Triple is a beautiful range of eye shadow trios that feature complementary shades of finely milled powder shadows that glide across the skin effortlessly and deposit color evenly. They offer buildable coverage, they blend with ease, and they are long-lasting. Furthermore, this formula is gentle and safe for sensitive eyes. Soft Kiss: shimmery smoky brown, shimmery port wine and matte warm mauve. Pink Quartz: shimmery cool plum, shimmery soft pink and matte light pink. Jane Iredale is committed to providing products with the utmost integrity and a demonstrated concern for the environment and as such is certified cruelty-free by the Coalition for Consumer Information on Cosmetics’ (CCIC) Leaping Bunny Program the leading animal protection group for cruelty-free certification. Ingredients: Mica, Boron Nitride, Dimethicone, Pinus Strobus (Pine) Bark Extract, Punica Granatum (Pomegranate) Extract. [+/- (May Contain) Titanium Dioxide (Ci 77891), Iron Oxides (Ci 77489, Ci 77491, Ci 77492, Ci 77499), Carmine (Ci 75470), Manganese Violet (Ci 77742), Ultramarines (Ci 77007), Chromium Oxide Greens (Ci 77288), Red 30 Lake (Ci 73360)]. Overall Assessment: I like these two palettes so much that I want to pick up a few more colors. $30.00 each for oz. from Jane Iredale, Nordstrom and Skin Store (Affiliate Links). I completely agree, Allison. They remind me a bit of the Paul & Joe trios for spring as well. I think that it is essential to have at least a b=couple of matte shades, and thankfully Rimmel included them. These are definitely worth having! These are great eyeshadow palettes. The size is perfect for traveling and you've got your whole look in that one little pan. They really are, Marcia! THe size is perfect for travel, and in fact they were the two palettes that I took on my most recent trip! Oh my gosh, those swatches make me think I need both of these palettes! How perfect for everyday looks!! They are perfect for everyday looks, and the quality is outstanding! The colour combinations look so pretty! Soft Kiss has my kinda shades! Love the shimmery one especially! Soft Kiss is definitely by far my favorite of the two! I love the taupe shade so much! Soft Kiss is such a beautiful trio. I've never tried Jane Iredale shadows - just the lippies! Yes, that's my favorite of the two. The lippies are wonderful, and the trios are definitely worth trying!